Create tags to categorize children into different groups, activities, etc. Tags can be an extremely useful tool when filtering for a particular group of students. This works especially well if your school has a larger number of students, or students with specific needs or schedules in the system. View the following steps to learn how to create, assign, filter by, remove / edit, or untag children. On the website: go to My School --> Tags to add a new tag. In the app: Click on the Room at the top of the Home Screen and in the Tags section choose "Manage Tags" and use the "+" to create a new Tag. On the website: go to My School --> Students, check the applicable student names and at the top select Batch Action --> Add Tags. Select the tags and click "Update." In the app: Select the name of the student from the home screen, click "Edit," and scroll down to select tags. NOTE: When multiple tags are used, any children with at least one of those tags will be listed. 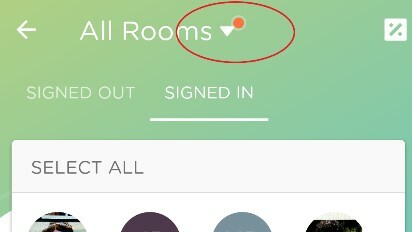 In the app: Click on the Room at the top of the Home Screen and go to the Manage Tags screen. Click on the name of the tag you wish to edit or delete. On the website: Go to My School --> Students, click the name of the student, and "Edit Profile" to add or remove tags. On the website: Go to My School --> Students. Check the box next to the student(s) names and use the Select Batch --> Remove Tags option. In the app: Click the name of the child from the home screen and scroll down to deselect tags.